This is my setup, one monitor group is in the living room and one in my office. Currently this works fine when I am the ony one home, no matter which system I use it works as expected. But whenever someone tries to browse the web in the living room (left side) that becomes the server, and we start juggling between who gets to switch screens. 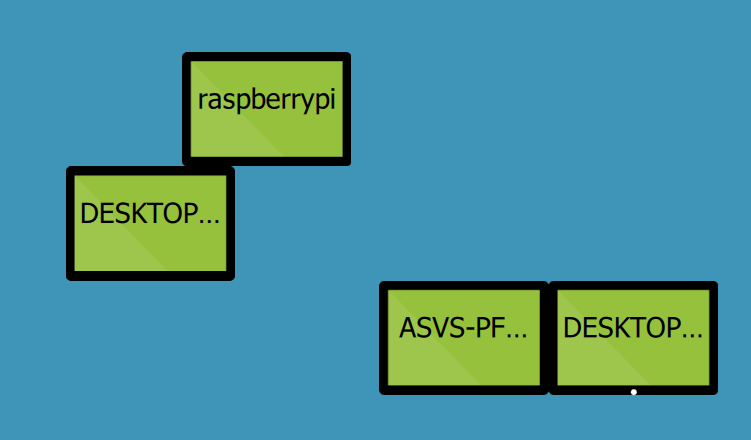 Since there is no interaction between the two clusters of monitors in their current configuration, it would make a lot more sense if both of the desktops got to run their own servers, with ASVS and the pi connecting to those. We received your ticket and will stay in touch with you via email.